When I, along with my new husband, decided to have a week in Jordan for our honeymoon this was the question almost everyone asked us. It was a bit of a conundrum really, because I sort of got it. 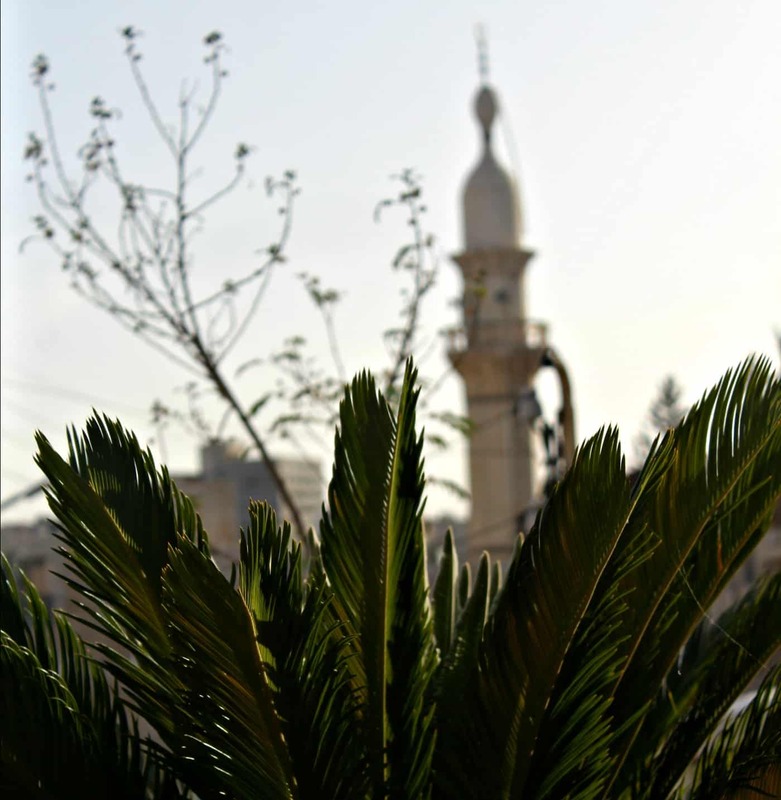 Jordan is bordered by Iraq and Syria and the proximity to both could put you off. But it shouldn’t. And it didn’t for me, because I know it to be one of the safest countries to visit, certainly in the Middle East. When you think of Jordan, what do you think of? Hot, middle-eastern sunshine and dusky evenings in the desert? 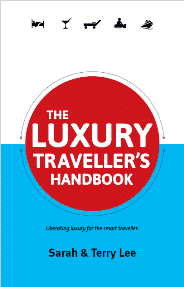 Luxury? Poverty? Rugged roads and inhospitable landscapes? Jordan is all of these things and none of them all at the same time. 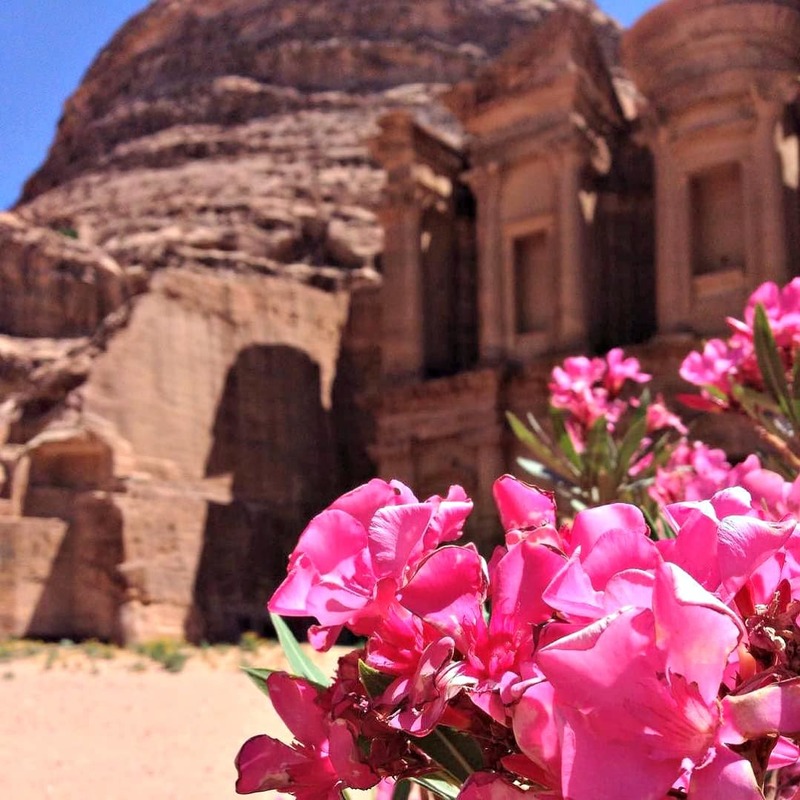 It’s peaceful, hospitable and oh-so friendly and there are many great places to visit in Jordan. The famous Arab hospitality is in abundance here and your heart will burst at every warm welcome you receive. Have some tea when it’s offered, and soak up the atmosphere. You won’t regret it. We had just over seven days in the country, and flew via Istanbul so needed to make the most of our time. As such we decided to hire a car and self drive around a few of the top sights. 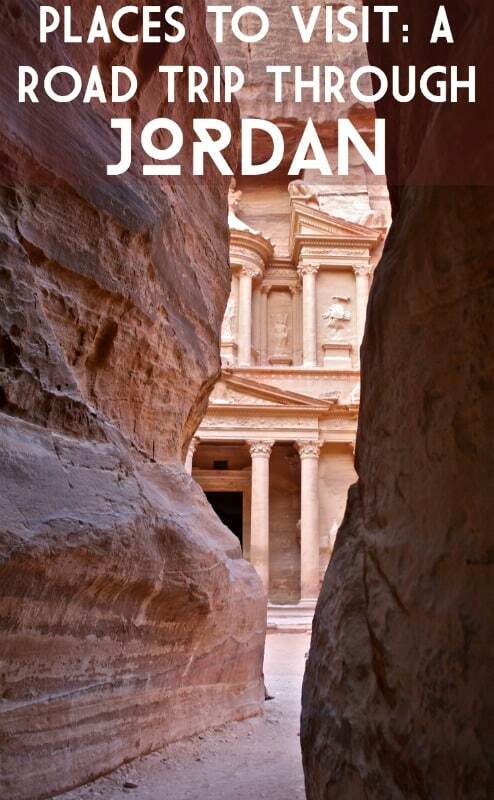 Jordan is a really easy country to navigate, and there are really only two roads you need to concern yourself with. The main highway running the length of the country, and the Kings Highway. The latter of the two roads is longer, winding and intrinsically beautiful and a must ride when you’re in Jordan. We started our trip in Amman, taking an early drive downtown (getting lost several times!) before finally ending up at our hotel. Conveniently located near to the Blue Mosque and in an area rich with some of the most delicious street food, we were in heaven. After eating home-style falafel, farmers salad and hot, fluffy pitta and hummus we were ready to take a stroll through the frenetic streets. The blue mosque – or King Abdullah Mosque – is the only one open to non-muslim visitors, and it is truly stunning sight. Dress modestly, and avoid visiting on Fridays. 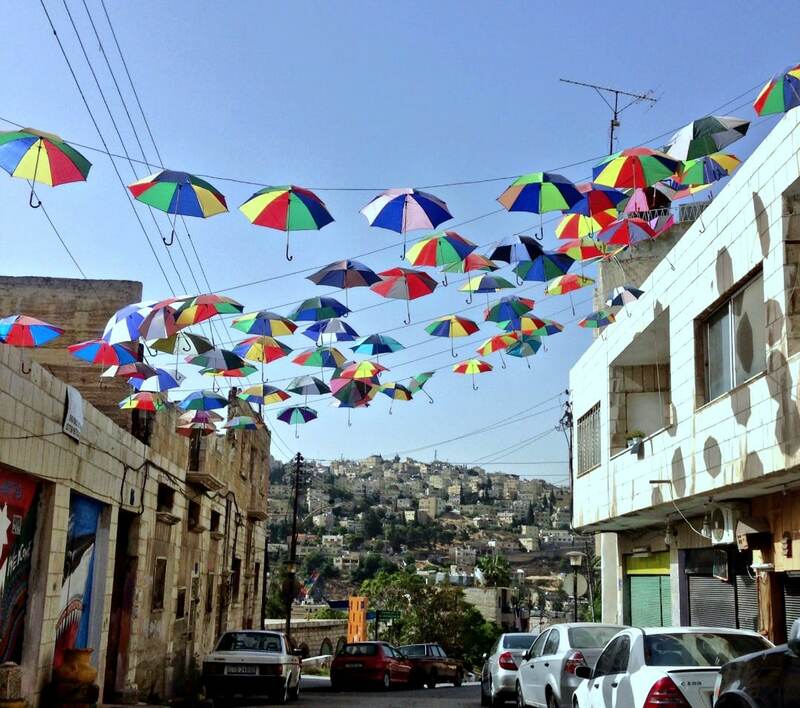 After Amman many choose to head north to Jerash, an ancient city dating back to the Bronze Age. You could also head to Umm Qais for spectacular views of Syria, Israel and the Palestinian Territories. 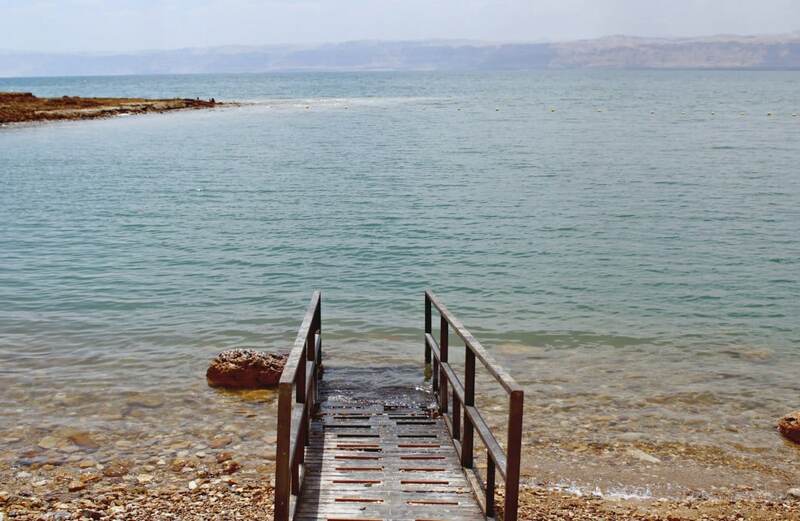 For a taste of the deeply religious sites that can be found all over Jordan, travel to Bethany and find the spot on the River Jordan where Christ is said to have been baptised. 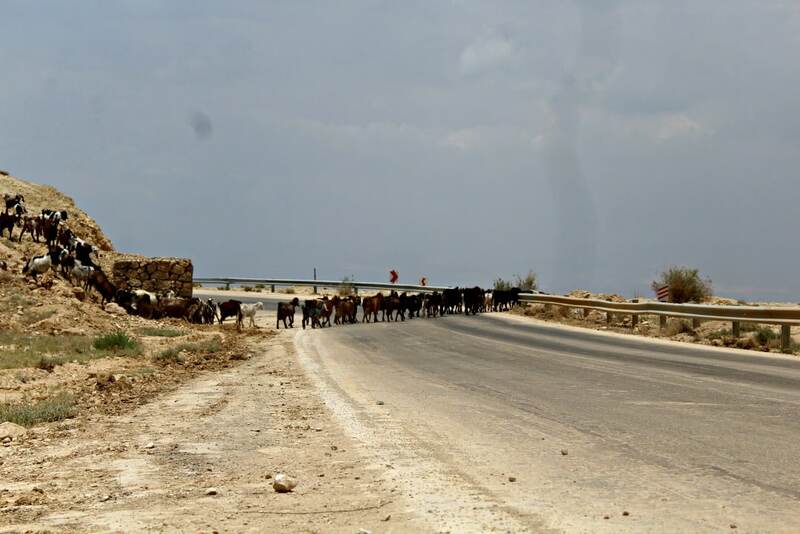 But if you want to follow the route oft-followed, then head straight from Amman to the Dead Sea. Drive along the Dead Sea highway to the lowest point on earth, and marvel in the majestic lake so many have bobbed in weightlessly. 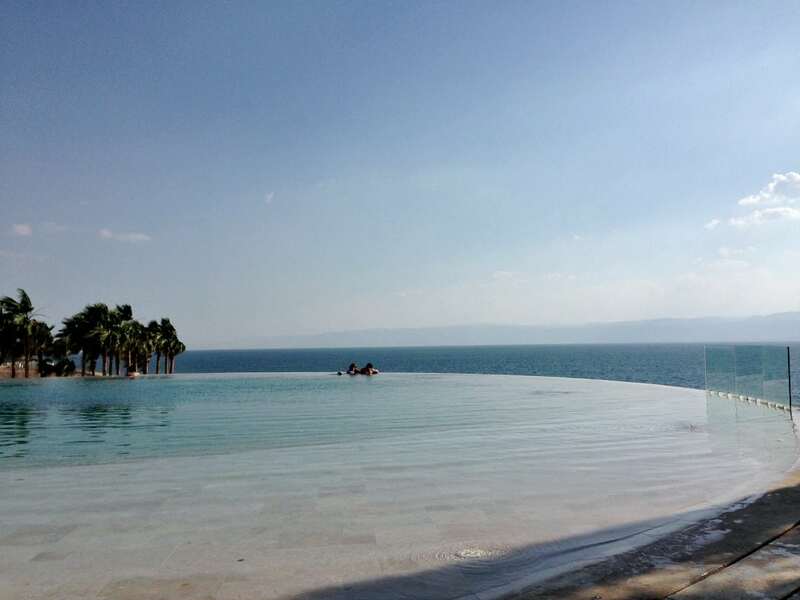 A note to the wise, the Dead Sea is replete with luxury options so pick wisely. We plumped for the perfect Kempinski Ishtar which offered great deals including breakfast and dinner (there aren’t any dining options outside of hotels) and it was magical. Incredible service, impeccable views and delicious food. You really only need a day or two at the Dead Sea, and some people come just for the day as there’s precious little to see outside of the, admittedly fabulous floating lake. But whatever you do, don’t skip it. The Dead Sea levels have been depleting for many years now, and some day it will entirely disappear. After luxuriating at the Dead Sea, we were insanely relaxed and ready to fire up Google Maps and take a drive along the famous King’s Highway. Although the route takes longer, it’s so worth it for the incredible views you’ll see on the way. We made countless stops, imagining each to be the last time we would stand at the edge of a cliff looking into unspoilt landscape. But it was never the last time we would see those amazing views because we saw them pretty much every time we rounded a corner. At many points along the route, we were the only car around. I stepped out to capture a man herding his goat from the mountains to the other side of the road and it was… magical. You couldn’t hear a thing except for the click of my camera, the tinkle of the bells on the collar of his goats and a whistle from the shepherd every now and again. Arriving in Petra, we were already bowled over by the incredible experience we’d just had — but there was so much more in store. The food in Petra isn’t as good as elsewhere, so lower your standards immediately. Still we managed to find some great value Jordanian cuisine. We also found a few fabulous bakeries where we picked up baklawa (sweet Arabic pastries) and pitta for our trip to Wadi Rum. Petra historic site is vast. It’s easy it is to become completely overwhelmed with the amount of sights there are to see. So take stock and take your time before heading into the ruins. There’s far more to see than just the Treasury, so I suggest you take a couple of days to explore at your leisure. And if you get tired, there are mules to help you up to the hard to reach places – just make sure they are treated properly before handing over any cash. 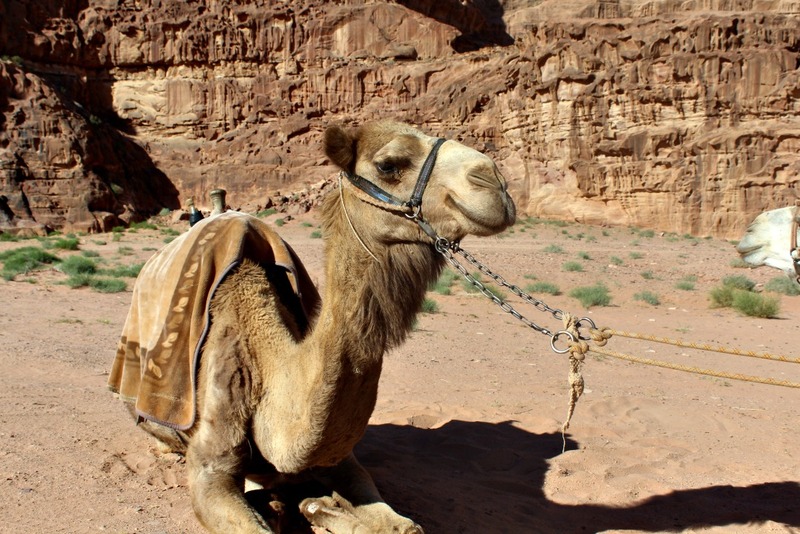 After the perfect sights of Petra, we took the route down to Wadi Rum: Lawrence’s desert – renowned as a setting from the film Lawrence of Arabia. The dramatic sandstone karsts and incredible vistas have the wow factor, there is no doubt about that. And I would highly recommend you stay at least one night in the desert, it’s a once-in-a-lifetime experience and one you’re unlikely to forget. Heading into Rum Village you’ll need to pay an entry fee. There are plenty of reputable tour guides on offer. We chose Rum Stars Camp, run by the charismatic Ahmed, an English speaking Bedouin, proud of his heritage. 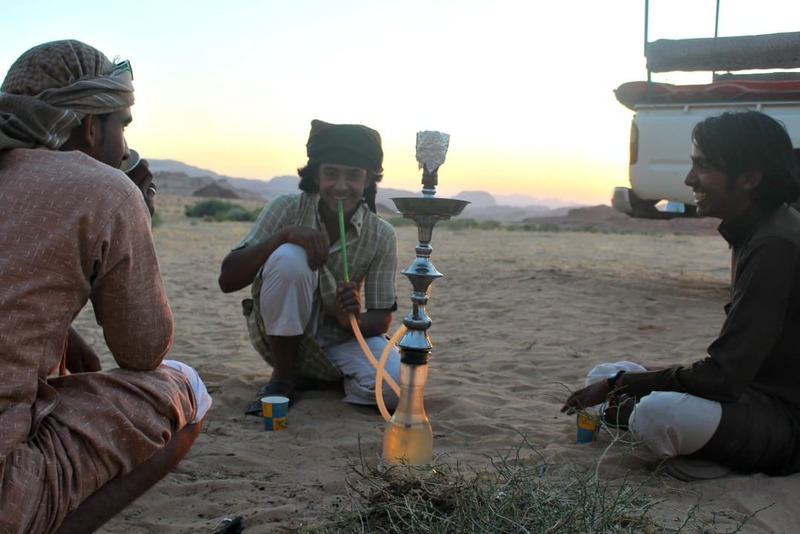 You are taken on a jeep tour through the desert, with an English speaking Bedouin guide who will point out the sights – such as Lawrence’s Spring, and the incredible sand dunes – before settling in for a night of traditional fare and delicious mint tea. One of the most amazing things we did was to take a wander into the desert, still within the camp confines, to see the stars. As London-dwellers, it’s rare for us to ever see the stars. Or to hear nothing but our own voices and the sounds of camels. It’s one of the best things we have ever done, and something we’ll treasure always. 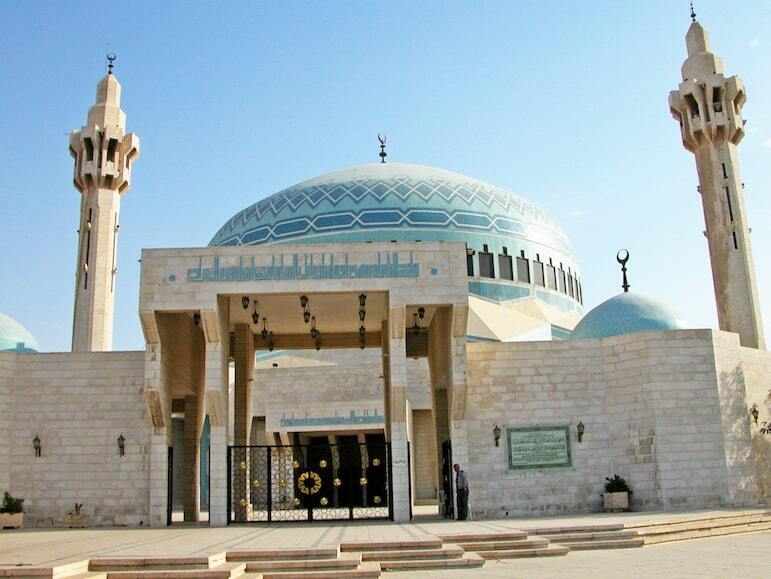 All pics Lucy Sheref, except King Abdullah I Mosque, in Amman, by Derek Jarvis and Petra El Khasneh, by Corrado Lamberti, and Petra, by Kyle Taylor.